Baby, look at you now! 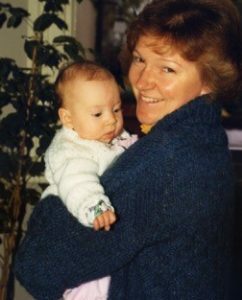 Anne and Becca at a few months old – Anne’s cardigan was knitted at Bourn Hall! 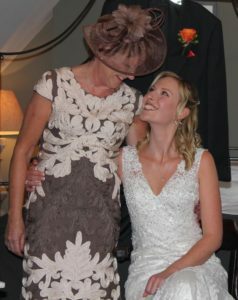 When Bourn Hall baby Becca Robinson walked down the aisle to marry husband Dr Chris Fury on a warm sunny day in the Cotswolds, it was a particularly emotional and proud moment for mother-of-the-bride Anne. Becca was born 27 years ago after Anne and husband John had made the journey down the A1 from their home in North Yorkshire to undergo IVF treatment hundreds of miles away at Bourn Hall – having tried for a baby unsuccessfully for five years. “In 1988, when it was suggested we try IVF there were very few centres which offered the treatment,” says Anne. Becca was born after the second IVF attempt and Anne describes it as “it was one of the happiest moments of our lives. The medical staff who knew about our ‘journey’ were so happy for us and were like proud parents themselves. “Becca is a joy to us; all children are special but she is particularly special to us. Growing up she was always tall for her age and knew her own mind. She excelled at school, swam competitively as a youngster and played both the clarinet and saxophone and regularly performed with her school orchestra and jazz group. She took up rowing when she went to York University. “She has real drive and before her wedding set herself a goal to raise money for Cancer Relief by running 10km every week for 52 weeks. 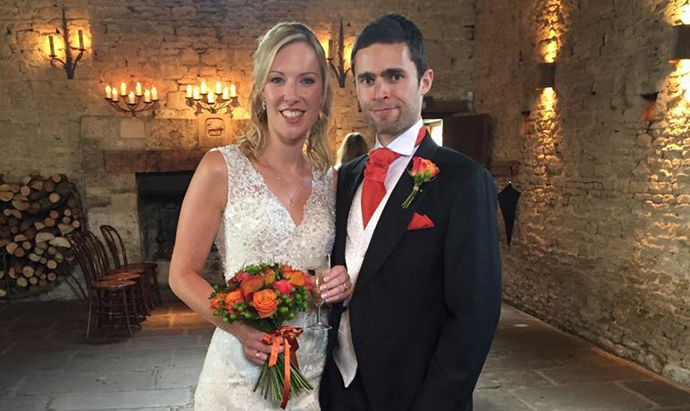 She completed the challenge the week before her wedding and raised over £1000.